A collection of fine art gicle prints. All Limited edition prints are named, numbered and signed by Lauren Terry. 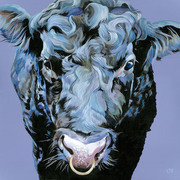 Characterful cow art to brighten the home!